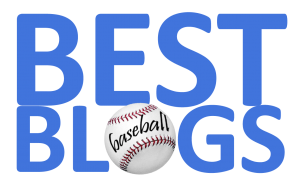 FenwayNation is honored to have been named one of five "best baseball blogs" covering the Red Sox by OldSportsCards.com. The site, run by Ross Uitts, is a comprehensive resource that provides information about specific baseball cards, sets, shows and other hobby-related topics. They also set out on the monumental task of evaluating the hundreds of baseball blogs on the Web—and picking the best of the best for each team. Again, we are truly honored to be selected in this elite company. You can see the honorees for the Red Sox and every other team HERE.